I was reading an article about the midterm elections and it was discussing what they dubbed, “Trump’s Woman Problem.” Basically, they were saying that women don’t care for Trump so they would not be voting for those he endorses. 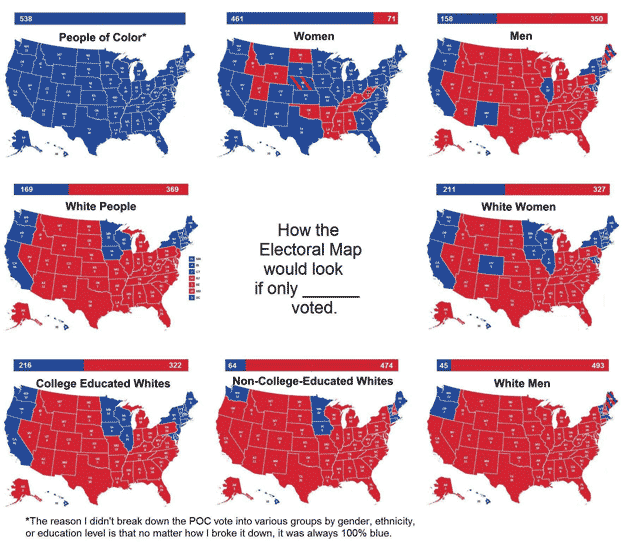 Unfortunately, if you look at demographics of strictly female voters they vote blue regardless. This is not just a Trump problem, but a problem for the country. I have said it before and I’ll say it again, I would be willing to give up my right to vote if they ended women’s suffrage. That’s what these women need to be asking, what are the policies and how are they helping me and my family? Do you know how many times I’ve heard women say that they don’t like a candidate because of how he looks or the language he uses when he speaks? Well who cares? He could be the Elephant Man, but if he is running on a platform I endorse I’m voting for that freak of nature. I’m just saying either women need to be more informed on facts and vote with reason over emotion or just take the privilege away completely.